California has beautiful beaches and many modern attractions, including Disneyland, Hollywood and the Golden Gate Bridge. However, the highway network in the state can be considered as man-made engineering marvel and for first time travellers, it is a very interesting place. Southern part of California can be considered as a tropical destination with its warm climate and wonderful trees. We may drive down to any of the beaches in the California to watch the sunset. If we want to explore the Highway 101 or the California Coastal Highway, we should start early in the morning, especially after having a light breakfast at the hotel. Along the highway, we can visit many lovely beaches. To many travellers, such wonder and beauty can be quite mesmerizing. The southern part of California is often consisted of dry grounds and there’s a rich Hispanic influence. Beaches in California are known for the rich aquatic life and blue green waters. 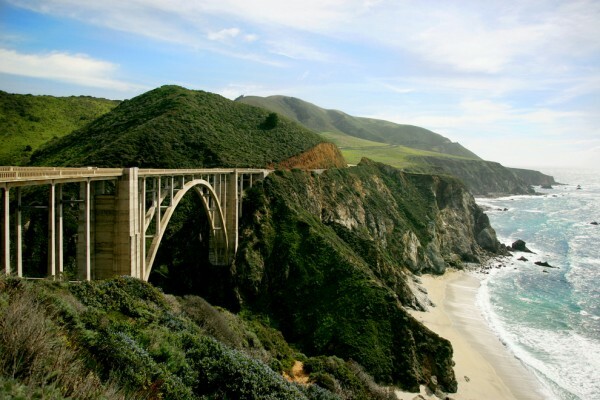 Highway 101 also allows us to visit many famous towns in California, such as Malibu and other hip towns. We should be able to see many attractions along the way and during the trip, we will always be able to see the sun sets over the ocean. There are also many opportunities to capture the moments with digital camera. As we go further north along the Highway 101, we will reach Camarillo and it is a good way for us to spend the night. If there are still a few hours of daylight left, we could go to nearby beaches. As we go to the shore, we will find the rural country with strawberry field and orange grove. The whole setting should appear very peaceful and nice. The next day, we could go further north through the Highway 101. The highway network is heavily patrolled by the local police department. During our multi-day trip, we could find police officers dealing with many things that can happen on the highways, including accidents and even drug busts. These incidents may not be a typical tourist attraction, but can be quite interesting for people who come from other countries. Despite incidents that we see on the road, we shouldn’t be apprehensive about travelling along the road. The Highway 101 is still a wonderful place to visit. The fact that there are many police officers in the area should tell us that the highway is a safe place. During our trip, we should be especially careful and never exceed the specified speed limit. When we are tired, it is very advisable to stop at various rest areas. Santa Barbara is another town that we should visit along the Highway 101 and we could go to the wharf to see the coastal area. While we are driving further north, we should rely on the GPS navigation. The final goal should be San Francisco, another tourism hotspot in California. It has a different vibe compared to the cities on the south. It can be quite exhilarating having driving from San Diego and finally passing through the famous Golden Gate bridge.